Some pet owners think that dressing their canines into winter dog coats is only for style, because dogs have their own coats for warmth. That is not true, however, and vets warn how important it is to keep our pets warm in extremely cold winter temperatures. We've found five of the best dog coats for winter and rain that will keep dogs warm yet stylish, below. As the winter is already here, in certain parts of the country temperatures can drop to really low numbers. This weather can seriously harm your dog, and there are several cold weather things that vets encourage all pet owners to focus on. * Click on the best dog winter coat for more information and prices, or scroll down below for more details. It's a myth that all dogs can keep themselves warm in winter, and we now know that providing dog winter clothes is essential for pets. Veterinarians agree that during cold winter months, a dog winter jacket, coat or sweater can be extremely helpful for your pet. There's only so much dogs can do to keep themselves warm, and even that will not last for long, especially in very low temperatures. 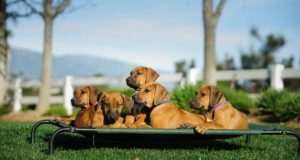 How well your dog is able to keep himself warm depends on the canine's age, size, breed and subsequently coat type. Heavy coated dogs will obviously do better in winter, but small dogs and those with short coats will get cold within minutes, just like humans. Most experts recommend sifting through best dog coats for winter to find one with good fit. For dogs like Siberian Huskies or Alaskan Malamutes, finding the best winter dog coat may not be as necessary, although it can be helpful for even those dogs if they spend prolonged periods of time outside in winter. In addition to putting a dog winter jacket on your pooch, remember that there are other ways you can ensure your dog's temperature doesn't drop below the safe levels. Warm dog houses, keeping them indoors, buying snow dog boots, giving them warm water and so on may be some of the things you can employ to keep your Fido safe in winter. How to Find the Best Winter Dog Coat? There are several types of specially designed dog coats for winter, but it all comes down to a few factors to pick the best dog coats for winter that will keep your pets warm. All winter dog coats come with their pros and cons, too. The material. Wool is one of the best choices for insulation, but there are several problems with it: first, you'll need to wash it often, which will deteriorate the material quickly; second, your dog may not be very comfortable in it due to itching. A combination of wool and other materials such as cotton with acrylic will be much better. However, pet owners find that quilted coats like Kurgo's coat (first on the list) are the perfect blend of good insulation, ease of washing, design and style, and how long they last. The size. Proper fit is almost as essential. A winter dog coat that's too loose will not provide enough insulation for the dog, and the one that's too tight will be uncomfortable. When picking out the best dog coats for winter, make sure you measure your dog first. Go for neck, chest and waist measurements, and refer to the manufacturers sizing table. It has to be snug enough but not too tight, and not drag on the ground. Here are some tips on how to measure your dog for clothing for proper fit. The features. Some dog winter coats come with fancy features based on how jackets for us, people, may be designed. While zippers and buttons on the dog winter jacket can be helpful to the owner, you must see that they won't get caught on anything and that your dog will not be able to chew on them. Dog winter coats that have a hook on them for attaching a leash must be only used for walks when you can watch your dog to avoid any accidents. With that said, here are five of the best dog coats for winter cold to keep your pets warm, stylish and comfortable. 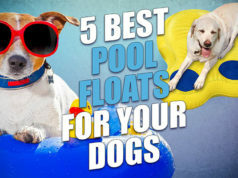 They are also convenient for the pet owner in how easy they are to put on or wash, and how long they last without you having to replace them. The first on our list of best dog coats for winter is an item made by a well respected go company, Kurgo. This quilted dog winter coat is available in blue, red, and green and is made from waterproof microtomic nylon, making it a great option for the most adventurous dogs. The quilted shell is reversible and, while it is lightweight, it is perfect for colder weather whether you are in the mountains or in the city. The shell has a zipper opening so you can insert a dog harness or collar and dog leash. Be sure to check the company’s website to ensure the size of the winter dog coats you order fit your canines appropriately. Looking through the dog coats reviews, it seems pets don’t mind the extra layer of these dog winter coats, and most move around as if they weren’t wearing anything at all. Kurgo Loft Waterproof Dog Jacket with Leash Opening fits dogs with unique builds, such as a boxer, as well as more ordinary shapes. It is waterproof and does a great job of holding off rain and snow. However, there is no special lining (such as flannel) for added warmth on Kurgo's best dog coats for winter. The added safety provided through the reflective piping is a great addition for pet owners who tend to walk their dog after dark. On the drawbacks side, some pet owners say the sizing of these winter coats for dogs on the company’s sizing chart is inaccurate (most stating the size they received is too small to fit their dog). Other complaints for Kurgo's dog winter clothes are typically from people who were expecting a thicker dog winter jacket with more insulation. It is extremely thin, so if you are looking for something to work in extreme temperatures, you may want to look at heavier options. The second on the list of best dog coats for winter is the one made by Zack & Zoey, a very popular option on many online retail websites. This dog winter coat is available in many colors and sizes and has coordinating, patterned fleece on the inside for extra warmth. The dog coat is made of 100% polyester, has a waterproof shell, and has a reflective stripe and paw print detailing. The belly closure is made of Velcro, which provides for an adjustable fit. The sizing details of these second best dog coats for winter from Zack & Zoey are available on the company's website if you are unsure which size to order for your pet. We've also taken a look at the reviews of this dog winter jacket. It appears that after spending an extended amount of time in the rain, pet owners say that their dogs remain dry and warm, even in very cold temperatures. Zack & Zoey Polyester Nor'easter Dog Blanket Coat doesn’t restrict movement, and it doesn’t slide off, whether the dogs were relaxing or chasing rabbits. Most say that this dog winter jacket is very durable and high quality, and the reflective strips make dogs visible during nighttime hikes. As with other winter dog coats, some pet owners say that sizing may be an issue. 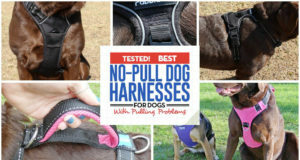 The Velcro used under the belly isn’t particularly lengthy, so some customers say that a longer strap may make the product more flexible for fitting a wider variety of dogs. Although most pet owners thought the weight and thickness of this dog winter coat was perfect, a few said it was somewhat thinner than they had thought it would be. The third on the list is the most expensive but also warmest, comfortable and highly insulated dog winter coat you can currently find. DJANGO's Reversible Puffer dog jacket is made of durable materials, and has a 100% cotton inner lining with ultra-fine microfiber fill for insulation, while the outer lining is made of polyester. It comes in three different colors – red, navy and green. The creators of the jacket say that this design was inspired by life and adventure in the Pacific Northwest. This Reversible Puffer dog coat is weather-resistant and windproof, a design that provides extra warmth and insulation for the dog, while its soft cotton lining provides additional comfort. A great benefit of this third option of best dog coats for winter is that it's also reversible. While it's slightly more pricier than other options, pet owners get two distinct looks in just one comfortable, warm cold weather jacket. DJANGO's oversized arm holes enable maximum range of motion whether you are walking down a city sidewalk or running up a snowy mountain trail. You can use the structured leash portal to incorporate your dog's favorite harness and leash attachment. It's easily packable for easy storage in your or your pet's backpack or other hiking gear. There's a velcro closure for easy on and off. All dog coats made by DJANGO are designed to withstand water, sand, mud and countless cycles in the washing machine, which makes them a perfect choice for hiking in cold weather. Having gone through other pet owners' reviews of this winter dog jacket, there doesn't seem to be any disappointment yet. Most owners pick this for their small dogs, and some claim it to be one of the best dog coats for winter that fits harness perfectly. Those living in places with unpredictable weather get the most benefit from DJANGO's jacket due to the reversible feature. It appears that claims made by the manufacturer are often supported by those who've tried it, and small dog owners love how cute the coat looks as compared to others who may appear on the outside more “functional” rather than stylish. Fourth one on the list of best dog coats for winter is manufactured by the Kakadu Pet, a lesser know but respected company. These winter dog coats are made of fleece, ensuring to keep your pooch warm during colder months. These gray dog winter coats are available with a red, green, yellow, or blue stripe and reflective piping so that your dog can stay safe in the dark. This is a good option in terms of optimized fit for most dogs of different sizes. The adjustable straps around the neck and girth make finding the right fit and dressing your pet a cinch. The sizing chart for these winter coats for dogs is easy to follow and tends to be very accurate according to most pet owners. I recommended browsing through this dog winter coat reviews for others' opinion. The fleece is very warm which makes it a perfect option for dogs in cold weather. The material of Explorer Double Fleece Reflective Dog Coat by Kakadu Pet wraps around the belly, which provides more warmth than most of the other dog winter clothes available. Pet owners appreciate how adjustable the Velcro closures make this third one of the best dog coats for winter, mostly because of the extra give it provides. Even though the material goes underneath, it doesn’t get in the way during potty breaks for majority of dogs. Now, onto the cons. The most common problem with this dog winter jacket is sizing, again. Most unsatisfied dog owners said that their dog winter coat is too big for their canine, even if they followed the provided sizing chart accurately. Although most dogs have no issue using the restroom in this pet coat, some do, depending on the size of the dog and placement of the coat. Fifth one on the list of our best dog coats for winter is another jacket made by the same company, Kakadu Pet. This winter dog coat is also made of fleece, ensuring to keep your Fido warm during colder months. Kakadu Pet's gray dog winter coats are available with a red, green, yellow, or blue stripe and reflective piping so that your dog can stay safe in the dark. Same as with their previous option, the adjustable Velcro straps of the Kakadu Pet's coat around the neck and girth make finding the right fit and dressing your pet very easy. Again, similar to the above option, the sizing chart for this coat is easy to follow and tends to be very accurate according to most customers. The design of this dog winter coat is very similar to the #3 option, which is what puts it closely together on this list of best dog coats for winter. The fleece itself on Kakadu Pet Nylon Shell And Fleece Lined Dog Coat With Reflective Stripe is very warm and a perfect option for dogs who will spend more time in really cold weather. The material wraps around the belly, which provides more warmth than most of the winter dog coats out there. As for the problems, it's the same issue – sizing. Some pet owners complained that it's difficult to fit the coat onto their dogs, even when purchased according to sizing chart. Finally, the last one of the best dog coats for winter comes from a company called Collections Etc. This dog winter coat resembles a heavy coat that a human might wear, making it a great option for the most fashionable dogs in super cold weather. The fabric is faux suede and it features a soft polyester fleece lining that resembles real sheep skin. The closures on this fifth one of the best dog coats for winter are easy to use, and the adjustable belly belt allows a snug fit, ensuring warmth and comfort for all pets. It is machine washable and dryable, so it is easy to clean and looks brand new every time you take your pooch outdoors. A sizing chart is available on the website in case you are unsure what size to order your pet. For more opinions, take a look at these dog winter coats reviews. According to majority of pet owners, dogs seem to prefer Shearling Fleece Dog Winter Coat over styles that must be pulled over their head. It is simple to put on, and most dogs love the extra warmth these winter coats for dogs provide. It is lightweight but still keeps dogs warm when in cooler temperatures, making it a great option for long walks or hikes. In case you do happen to order the wrong size, return shipping is available, and the company makes it a breeze to exchange for a different size. As for the drawbacks, these dog winter coats are not waterproof, which may be an issue if snow or water is involved in your adventure; however, it does seem to be water-resistant, according to many pet owners. Some pet owners say these winter dog coats are not as thick as they expected, stating that it is thin and lightweight when compared with other heavy coats they have purchased.